In modern times, elaborate album covers seem like a lost art… which, I suppose makes 45 sleeves essentially hieroglyphics at this point. With music going digital, artwork for most listeners is nothing more than 100×100 pixel square that pops up as a selection is made on an iGadget. This isn’t a new issue, though. 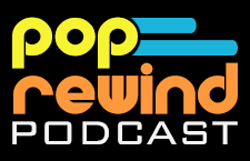 Each time music makes the jump to a new format, some ways of the old are forever lost. The goodies included with amazing gatefold LP covers, such as inner sleeves including lyrics and extra photos, didn’t always make the cut to CD. Weird Al’s albums, particularly from the 80s, lost a lot of that extra paperwork when making the transition from 12” cardboard record sleeves to a roughly 5” piece of paper insert. The switch to digital formats left behind even more relics of humor. 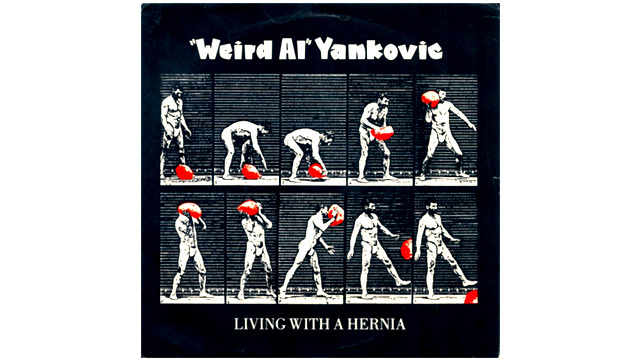 Here are seven forgotten Weird Al cover art images. 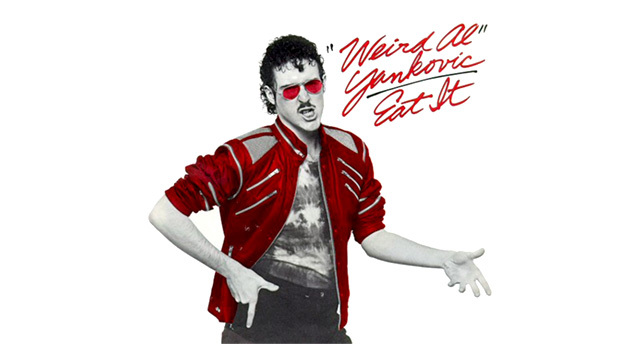 “Weird Al” has gone on record as saying this compilation was released against his better judgment, due to pressures from his record label. The case that may be, there were at least two CDs every 12 year old with a sense of humor had in 1996: Bad Hair Day and The Food Album. I’ve always enjoyed the artwork from The Food Album, particularly the disc itself with the “Belch!” bubble. The label maker font was a nod to the Coolio album cover. 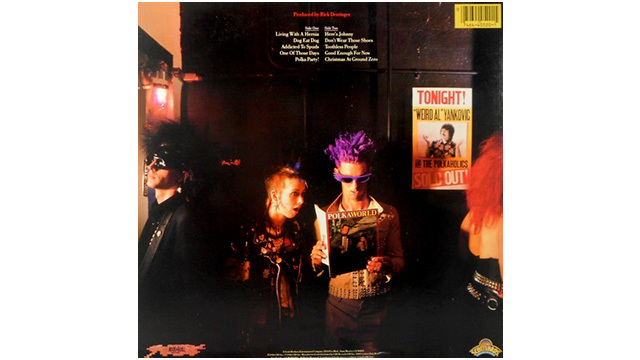 The “Amish Paradise” single cover was essentially a spin-off from the album art for Bad Hair Day. The cassingle always amused me, though, because of how cramped for space he seemed to be. What? You don’t know what a cassingle is? Clearly, you didn’t grow up with the luxury of owning a tape that only had two songs on it. There is probably some deep statement here about fulfilling a record contract… or something. 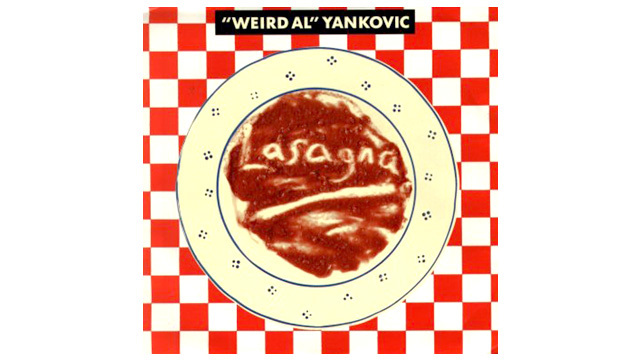 Despite never having a full-length video, “Lasagna” is one of those “Weird Al” classic songs. In fact, a single was released alongside the album Even Worse in 1988. Even if you owned the record at the time, you probably forgot the truly inspirational cover art. This is what every concert I attended in ’86 looked like. This certainly answers my question about which record label put out this lackluster back cover. Who’s the artist, again? Yeah, that was totally worth the upcharge. One of the more puzzling single covers. Here’s a strange one from the 45 sleeve of “Living With A Hernia”. In true medical journal sketch fashion, a man is depicted as he discovers the pain in a tender location. I would not want to wake up on the operating table to this view… unless he was signing autographs. The “Like A Surgeon” single cover is a direct nod to the music video, even featuring a Madonna lookalike. There are so many things going on in this photo, from the variety of tools to the lackluster assistant surgeon to the threat of being cut open with a chainsaw by “Weird Al”. Comedy gold, right here. The standard U.S. artwork for the “Eat It” single. Apparently, the music of “Weird Al” struck a chord with Japanese audiences. Which, of course, makes absolutely no sense at all. The U.S. Release for “Eat It” played a little off Michael Jackson’s “Thriller” 45 sleeve. In Japan, the release was a direct spoof off the Thriller album art. Leave it no more to the imagination what “Weird Al” would look like in an iconic Michael Jackson pose while stuffing a sausage in his mouth. The marketing team for Japan came up with this, instead. The Thriller-style cover wasn’t the only “Eat It” item to come out of Japan. In fact, there was an entirely new music video produced, as well. The reaction from “Weird Al” at the end of that clip says it all.